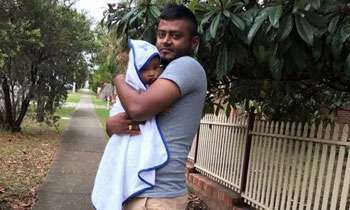 A Sri Lankan deported by Australia even though his partner had refugee status there was charged upon his return with illegally leaving his home country. 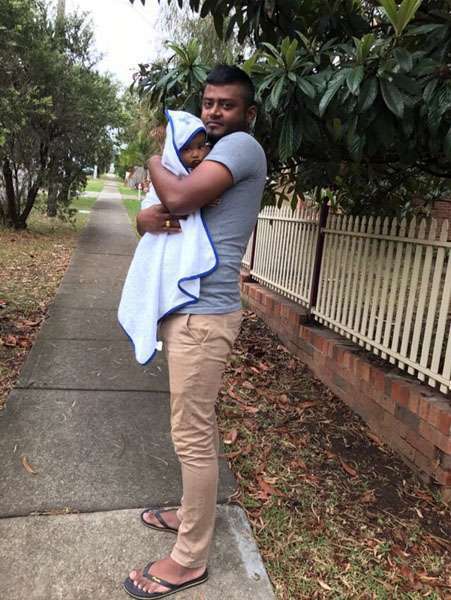 Thileepan Gnaneswaran, who was separated from his wife and 11-month-old daughter, arrived in Colombo Tuesday along with another 17 who had also their asylum applications rejected by Australia. "They were taken before a magistrate and released on personal bail," a senior police official told AFP. "They were charged under the immigration law for leaving the country from a place other than an approved port." Sri Lankans are known to travel illegally by boat to Australia and other countries, in violation of immigration laws. The offence carries a fine of 200,000 rupees ($1,250) and a maximum prison term of five years. In practice, people are seldom jailed. The UN refugee agency earlier voiced alarm at Australia's decision to "actively and indefinitely separate" 30-year-old Gnaneswaran from his family. His deportation "contravenes the basic right of family unity, as well as the fundamental principle of the best interests of the child", the UNHCR said in a Tuesday statement. The UN has long criticised Australia's policy of "offshore processing and deterrence". Since 2013 asylum-seekers who have reached the country by boat are shipped off to remote camps in Nauru and Papua New Guinea for processing. They are barred from resettling in Australia even if subsequently granted refugee status. The policy has led to numerous separations of refugee families since those who arrive in Australia by sea have been prevented from reuniting with their loved ones in the country, the UNHCR said Tuesday. Sri Lankans have attempted to illegally enter Australia by boat and in recent years almost all have been stopped and returned back. In May, a group of 131 Sri Lankans were stopped by Malaysian authorities as they tried to head towards New Zealand by boat. Official figures show that Australia has stopped 32 people-smuggling boats since 2013 and sent back some 800 people to their country of origin. Australian media reports said that Gnaneswaran, a member of Sri Lanka's minority Tamil community, was tortured by security forces because of his family's alleged connections to the now-defunct Tamil Tiger rebels. Rather than living with Australian PIN PADI, why cant the wife and kid come to sri lanka now and live with her husband in their mother land without tarnishing our image ? with current state of affairs in the country, given the chance, I bet, you will be first on the boat! Lankan,you are the Jaliya who votes for himself. Australia is a robbed land by whites from the dark skinned real Australians. Mate,Not just Australia alone there are others too including your own directly or in-directly if you really read the materials available. Why can not this family live in Sri Lanka.Don't blame Australia. Stopping boats is Australia's popular policy and both parties support it one way or the other. This is a good lesson to all the people who try to send their problems overseas expecting a solution. Those countries act on their national interests. They will assists you only it suits the domestic politics. Why cant they all return and live in Lanka? Being deported is in its self is a loss more than any punishment. Arresting him is to pour oil on a burning fire.